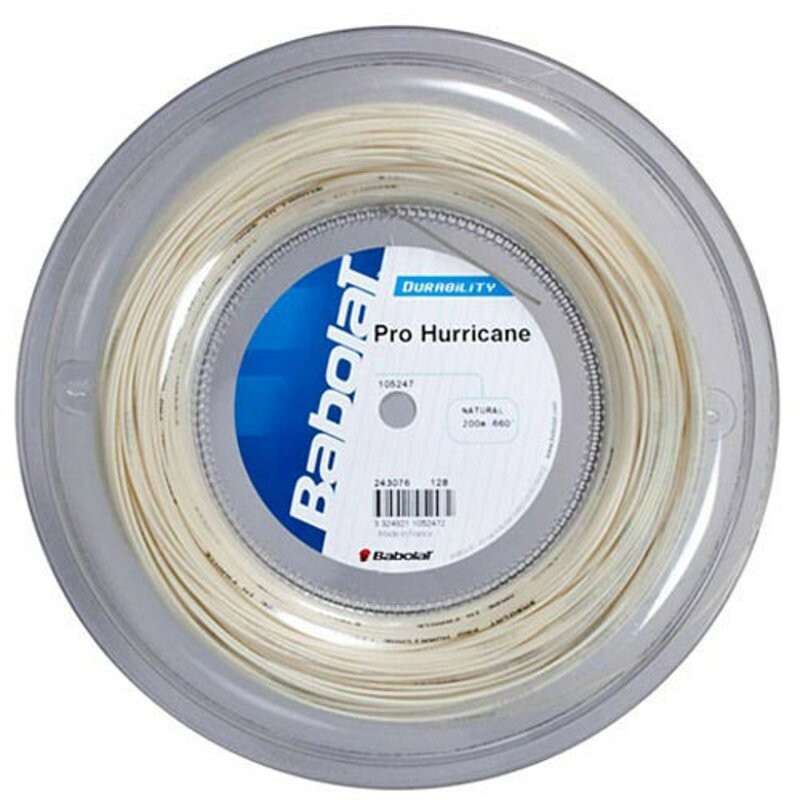 Babolat Pro Hurricane 16 is a solid, well playing, and durable co-polyester string. Babolat utilizes a softer form of polyester called Xtrem Futur Polymer. Babolat Pro Hurricane 16 is a solid, well playing, and durable co-polyester string. Babolat utilizes a softer form of polyester called Xtrem Futur Polymer. This addition produces a slightly softer feel than stiffer traditional polyester. Spin and control are still excellent with a now slightly softer feel.